I write crime thrillers where the emphasis is on action and pace but I don’t neglect the characters. This site is where you can discover my writing. Sign up to my mailing list to get early notice of new releases and receive bonus content. 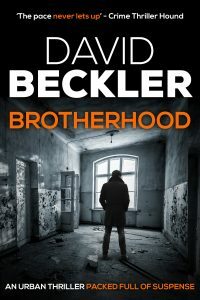 Brotherhood, the first novel in my Mason and Sterling series came out in February 2019 and is available on Amazon. Click on the title or cover to be directed to the appropriate page.